When you are in the market to buy or sell a home, you want an agent who is capable, looks out for your needs, and gets the job done. But when you work with Licica and Damon Benefield, you have two agents with decades of extensive experience in various aspects of real estate and concierge client care, committed to your real estate goals. Our experience includes a large portfolio of successful sales, contract negotiations, business forecasting, market analysis, property management, and proven property marketing systems that get homes sold. Perfectionists at heart, we are specialists at what we do. Damon is not afraid of hard work. While he was in the Marine Corps, he learned there are no shortcuts to quality and there is always a path to success no matter what adversary was faced. 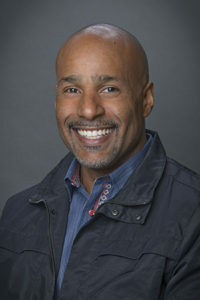 He went on to receive his BA from UCLA in Mathematics and Economics and from there built a successful career as the Vice President of Stores in the greater Seattle area for the Macy’s Corporation. At Macy’s he developed his dedication to client care, the ability to work with demanding clientele, worked with and managed people with a variety of backgrounds, and honed his negotiation skills – all of which help his real estate clients every day. Damon strives for fair, mutually beneficial agreements and partnerships with the goal of producing great results for all parties involved. Licica’s extensive real estate knowledge extends from the construction phase up through scouting and closing contracts with potential residents. 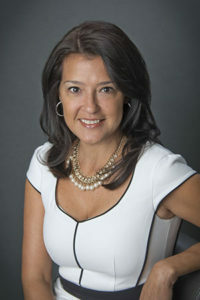 She has held a number of positions in all aspects of the real estate market including leasing agent, property manager, regional manager, and real estate broker. Licica is trilingual (English, Spanish and Portuguese) which opens up her services to a wide range of cultures. She graduated from Glendale College and IREM, the Institute of Real Estate Management. Along the way, we have dealt with four major personal relocations while still managing investment properties. The knowledge we gleaned from this experience benefits our clients as we understand what it takes to scope out a market and ensure it will indeed meet our client’s long term goals. We have been happily married since 1992; Licica obtained her real estate license in 2006 after being involved in property management from 1992-2005 and Damon obtained his license in 2014. When we aren’t helping our real estate clients, Licica enjoys traveling, cooking, browsing antique shops, interior decorating, entertaining and maintaining her passion for animals. You might find Damon working out, boating and kayaking, going to the movies and spending time with family and friends. In our off time we also are committed to giving back to community as are active participants in grass root local organizations, the Susan G. Komen Foundation, The American Red Cross, RIF and United Way.